Sang Har Mee or freshwater prawns noodles are one of the most expensive noodles dish back in Malaysia. A plate will cost your around RM40-RM75.00 depend on the serving size and also the cost of the prawns. Actually cooking this dish yourself is much cheaper. All you need is a few ingredients like fresh big prawns, ginger, green onions and some vegetables to cook the thick gravy. The prawns should not be over-cooked and the choice of noodles can be sang mee or wanton noodles. But for this dish I used yee mee since Diana bought some from New York. Diana and I enjoyed this dish a lot and we plan to cook it again the next time she comes home. 1. Put the yee mee in a baking sheet and lightly toast in a pre-heated 325 degree F oven for 5-6 minutes and set it aside. 3. Add in the cabbage and let it cook for 2 minutes. Then add prawns. Let the prawns cook for a minute or two and add in the cooking wine and cornstarch mix. Let it the gravy thickens. 4. Lastly stir in the egg, give it a few stir and turn off the heat. Add in the spring onions. 5. Arrange the yee mee on a plate and pour the gravy on top of it. Serve warm. Note : The amount of chicken stock depends on how much gravy you like. hmmm look at it make me so hungry now!! I also just bought 3 packets of this yee mein from NYC..beside the yee mein I also bought san chow mein,wonton mein ,yellow mee and udon mein!! haha!! you know me all mee also sapu,can buka kedai mee now!! oh!! Gert can you add Search box in your blog? Do you dashboard allow you to do so? I know told me about google.. I want to look up some of your kuih link for one of my reader who email me..anyway I found it thru your Label..but if you have Search box it's so great!! Question - is the yee mee already cooked when you put it in the oven? I was just wondering about the texture compared to traditional deep-fried. The hawker would deep fry the yee mee but if oven-baked works, then all the better! It's RM8 per single serving of this in my current town, of which is quite cheap, comparatively to other places. Would like to check with you, do you prepare your own chicken stock? If yes, do you have a recipe for it - an easy one I hope :) Thanks. i enjoy eating this too, only get can this from chinese restaurants, not sure how much are they charging now..should be more than RM10. Looks so delicious what your picture. Yours look much better than any restaurants.Meleleh air liur.I will definately try this dish out.Thanks for the recipe. Gert, this looks seriously good! I have to look out for this next time in Malaysia. Gert, this really looked like straight out of restaurant kitchen! I love sang har meen... have been waiting to buy the king-size prawns at the fish market to cook this. This noodles and prawn dish sounds fabulous! Great recipe! Lesley, Diana bought me 2 packets from flushing too. Yea I too like to stock up on noodles. We just can't stay away from it :) Did you see the box right on the left top side of my blog. You can always enter what you are looking for there. Anon, the yee mee we bought is already cooked and fried. That is why I just toasted it in the oven. Wendy, the sang har mee at your town is really cheap. In KL you can't get that price. Christine, if I have leftovers chicken bones I like to make the stock myself. All you have to do is put the bones, celery, carrots, onions, some herbs in a stock pot with some water and boil it for a few hours. Skim off the fats on top and freeze it. If you want a richer taste stock, roast the bones and vegetables for 45 min and then boil it. Mary, ha ha yea the big prawns are pretty tempting. Shirley, I think you should be able to get this noodles dish in Singapore too. Babe, I just saw you posting on this. 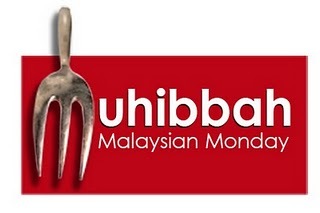 I will go and check out the Restaurang in Tmn Midah when I go home. Charmaine, we can only get the frozen fresh water prawns here. Pei-Lin, you work way too hard. Take a breather sometime :) I've tried the one at Jalan Silang a long time ago. There were pretty good. Wow, sure looks like restaurant standard. I love sang har mee too...yours looks so temptingly good with the huge sang har on the top! Oh yum, I wish my family eats prawns (what's wrog with them?). I like the oven baking tip, always thought I needed to deep fry the noodles, I'd much prefer to bake them. Ooh, haven't had this in a long time. Must try it when we are next in KL. Amazing recipe! I tried it and my husband loved it! Thank you!